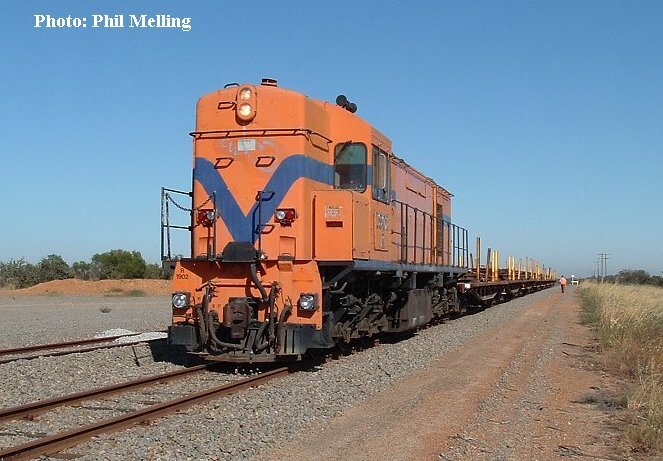 On the 8 November 2003 R1902 was worked from Narngulu to Mullewa to unload rail for the new Mount Gibson Iron Ore siding. On the 9 November further rail was transferred from Narngulu to Carnamah for extending the CBH Grain Bin loop. 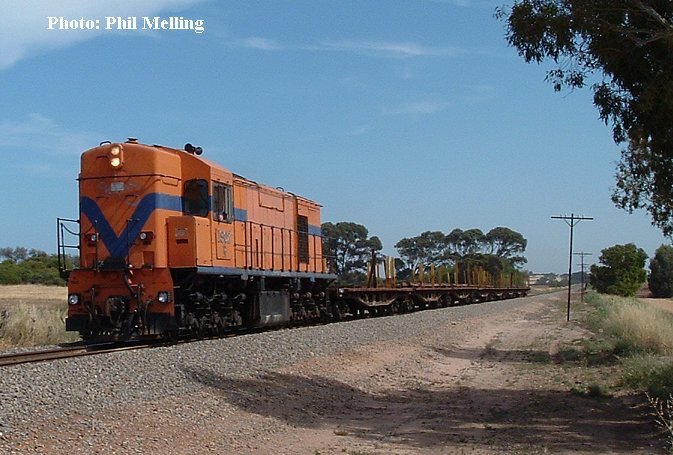 In December 2003 the R class returned and hauled ballast trains from Narngulu to Mullewa. Below are a few photos of the first visit to the area for over a decade by R1902, and the first time in the area since it was purchased from the former Westrail. 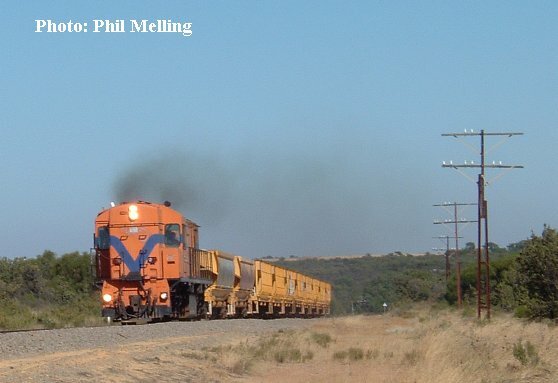 R1902 climbs through Bringo heading for Mullewa on 8 November 2003. 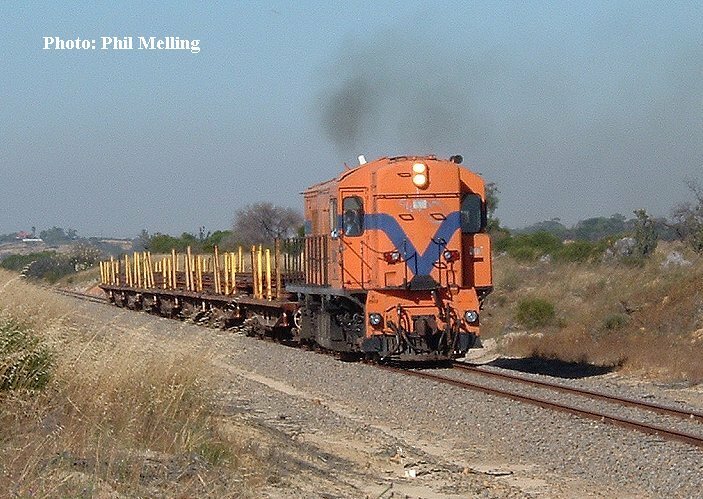 Another photo of R1902 heading to Mullewa on 8 November 2003. R1902 at the Northern Gully crossing loop heading to Mullewa on 8 November 2003. R1902 heads south towards Dongara heading for Carnamah on the former Midland Railway on 9 November 2003. The train is approx four kms from Dongara at this point. 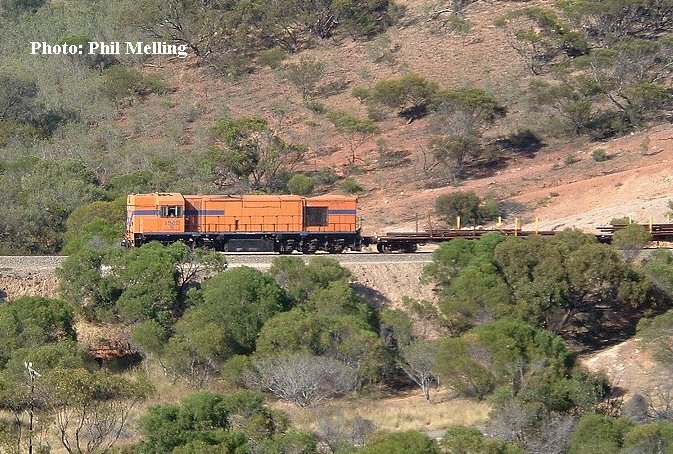 R1902 climbs the grade into Northern Gully with its loaded ballast train for Mullewa on 17 December 2003.